Get more bang for your bucks with the Pro Hunter Series. This user-friendly tripod feeder easily mounts to any barrel or hopper using an included quick-lock adapter-no tools required. Pattern deer with wide 360-degree coverage and a timer programmable up to 6 times a day, and dispense up to 200 pounds of feed in a single hopper load. 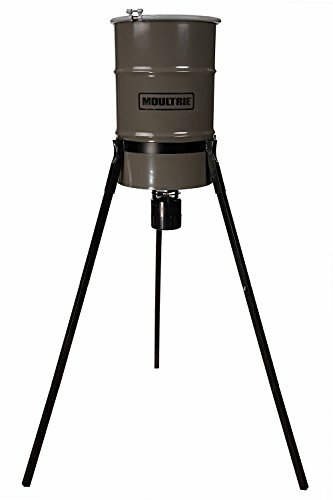 A metal spin plate with raised edges protects feed from the wind while new square legs enhance this tripod design's stability. One (1) 6-volt battery required.